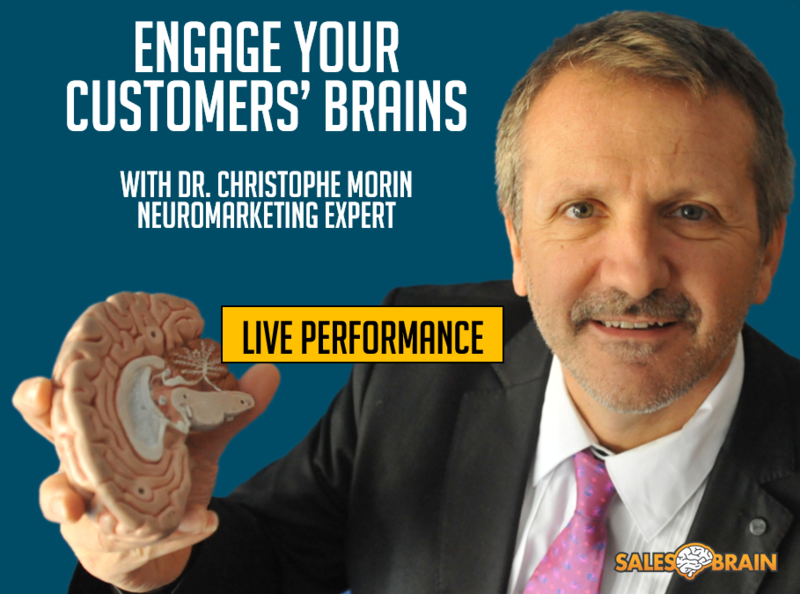 These recommendations are based on your level of interest in the science behind NeuroMap, your appetite for varied presentation styles, your budget and your business objectives. 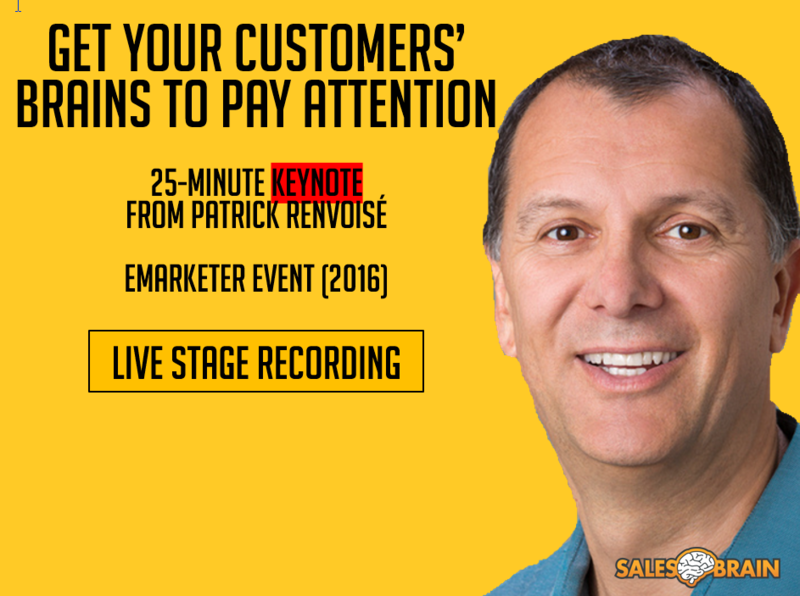 Live Performance videos (BLUE BACKGROUND) offer comprehensive presentations, case studies and explicit demonstrations of our persuasion model. The presence of a live audience makes this format very visual and theatrical. Concepts are not just taught, but also demonstrated. Both Dr. Christophe Morin and Patrick Renvoise illustrate critical concepts through the use of props, mini-dramas and interact frequently with the audience. Therefore, live performances offer the perfect blend of science and practical demonstrations to make sure you can learn the content with clarity and confidence. Audio/visual lectures (ORANGE BACKGROUND) provide the most in-depth presentation of NeuroMap. The pace of these courses is slightly faster than live performances. 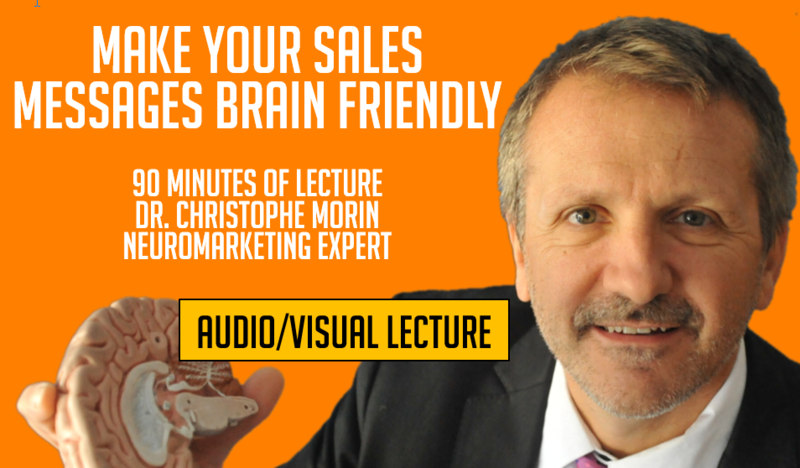 These recordings are ideal for senior executives and marketing teams who want to learn NeuroMap in the least amount of time. 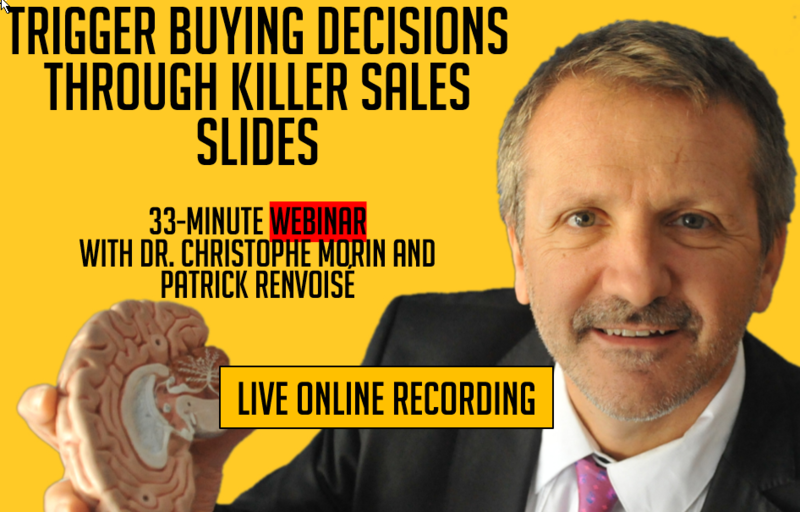 Webinars (YELLOW BACKGROUND) are live recordings delivered at a very fast pace to present the practical and tactical value of our persuasion model. They offer the shortest and easiest courses we deliver to make NeuroMap approachable by many people (sales, marketing, advertising, PR, Marcom). Webinars typically focus on one critical objective like creating better ads, delivering better sales presentations, designing better websites and much more.